It is a great pleasure for me to inform you that the Indonesian Oil Palm Research Institute (IOPRI) will organize a fourth-annual event, the International Oil Palm Conference (IOPC) 2014 from 17 to 19 June 2014 at the Bali Nusa Dua Convention Center, one of the famous destinations in Indonesia.This event is presented to continue the success of IOPC 2010 which had attended by 987 participants from 21 countries. IOPC 2014 has three concurrent conferences including Agriculture & Biotechnology; Product Development & Process Technology; and Social Economics & Environment.The Conference will provide update informations on the latest findings, oil palm developments, challenges and future prospects of the industry. A trade exhibition to provide opportunities for delegates to view and discuss current technologies, equipment's and products related to the oil palm industry will also be held throughout the conferences. IOPC 2014 is expected to draw more than 1500 participants and trade visitors from all over the world. Official theme of the IOPC 2014 is 'Green Palm Oil for Food Security and Renewable Energy' which will focus on the prosperity of palm oil in supporting food chain and renewable-green energy. In line with the theme, I hope that IOPC 2014 will once again come up with excellent strategy and formulation of palm oil industry to meet market needs and green-environment. I therefore take this opportunity to invite you to join IOPC 2014. See you in Bali, Indonesia. The conference will highlight progress and achievements in oil palm research and development. About 70 papers will be presented by selected speakers including by a number of invited eminent speakers for both plenary lectures and concurrent conferences. The plenary lectures will highlight the trend and issues in oil palm industry and future direction of the development of the industry. Three concurrent conferences will be held i.e. 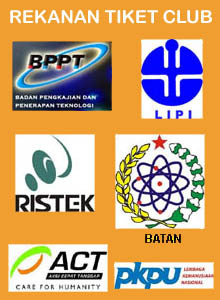 Agriculture & Biotechnology, Product Development & Processing Technology, and Environment & Social Economics. Progress of interspecific hybrids for producing new and improved planting materials in Indonesia and Columbia. DNA sequencing technology, molecular breeding, and genomic selection of oil palm. Remote sensing and GIS based technology for oil palm agronomic practices. Microclimate changes and carbon emission in oil palm plantation. Fertilizer efficiency and trace elements to maintain the optimum yield. Management of insect pest, rat and Ganoderma disease. The occurrence of low fruit set value in correlation with insect pollinating weevil, Elaeidobius kamerunicus. Improvements in palm oil mill technology to increase oil yields. Recent development in palm oil based foods and specialty products. Green products from oil palm biomass. Phytonutrients from palm oil and their health benefits. New concepts of palm oil business development. The role of government policy in palm oil agribusinesss sector. Empowering the smallholders through partnership. The contribution of palm oil agribusiness sector for environment. The way forward to sustainable palm oil. Market opportunities for palm oil industry in the future. Failed to meet the deadline may result in non-acceptance of the papers/posters. Intruction for manuscript preparation is available in the Download menu. We are pleased to announce that Perhimpunan Mikrobiologi Indonesia/PERMI (Indonesian Society for Microbiology/ISM), a member of International Union of Microbiological Societies/IUMS, will organize “the 7th International Seminar of Indonesian Society for Microbiology 2014 (ISISM) on 16-17 October 2014 in Padang, West Sumatera. The objectives of the conferences are to share the latest research progress of microbiology and microbial biotechnology and address the important issues concerning innovation, leading to implementation in industry. Untuk mengikuti pesatnya perkembangan IPTEK saat ini, kompetensi akan ilmu-ilmu dasar seperti matematika, fisika dan kimia dari kalangan siswa hingga mahasiswa mutlak diperlukan. Sehingga kemutakhiran informasi mengenai perkebangan IPTEK dan implementasi kurikulum dalam pembelajaran ilmu-ilmu dasar menjadi isu utama yang harus menjadi perhatian kalangan akademik. Sebagai bagian dari institusi akademik, Fakultas Sains dan Matematika UKSW hendak berperan aktif di dalamnya melalui penyelenggaraan Seminar Nasional 2014 bersub-temakan: “Kemajuan IPTEK dan implementasi kurikulum 2013” dengan mengundang pakar-pakar IPTEK dan Pendidikan sebagai pembicara utama di dalam seminar ini. Topik: Kurikulum 2013, KKNI dan Implementasinya. Seminar Nasional Sains dan Pendidikan Sains IX FSM UKSW 2014 akan dilangsungkan pada hari Sabtu, 21 Juni 2014, pukul: 07.30 – 17.00 WIB, bertempat di Hotel Le Beringin (Aula Sriwedari), Jalan Jenderal Sudirman no. 160, Salatiga (lokasi hotel dapat dilihat di sini >>). Dr. Bhinyo Panijpan received his B.Sc. (Hons) in Molecular Bioscience from University of Queensland, Australia in1965 and Ph.D. in Biophysical Chemistry from University of London King's College in 1973. 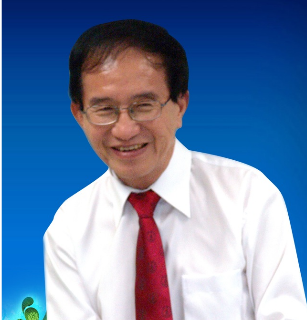 He worked in the Department of Biochemistry, Faculty of Science, Mahidol University between1967 - 2002. Afterwards he was appointed Director of the Institute for Innovative learning for 8 years. Currently he is the senior consultant of the Institute for Innovative Learning, and of the Faculty of Science, Mahidol University, Thailand. Throughout his academic career Dr. Bhinyo Panijpan has always combined his role as a chemical researcher with that of a chemical educator. His attempts at making his lectures and laboratory instruction accurate, up-to-date and interesting have led to publications in international journals on chemical and biophysical chemistry topics spanning the last 35 years. He has applied his chemical knowledge in making molecular models, a simple spectrophotometer, a test kit for iodate in salt, which has earned a patent and over 20 million baht for Mahidol University. Dr Amy Cutter-Mackenziejoined Southern Cross University in December 2011 as anAssociate Professor in the School of Educationin Sustainability, Environment and Education. She is the Deputy Director of Higher Research Degrees for the School, and an Associate of the Centre for Children and Young People where her Research Group ‘Sustainability, Environment and Education’ is squarely positioned. 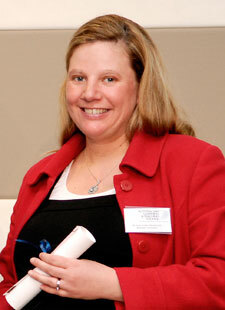 Prior to joining SCU, she was a Senior Lecturer in the Faculty of Education, Monash University. Dr. Dean Zollman is a University Distinguished Professor and Distinguished University Teaching Scholar. For ten years, since 2001, he had been the Head of the Department of Physics and William and Joan Porter Professor at Kansas State University. In 2006 he was named as KSU's Outstanding Department Head. 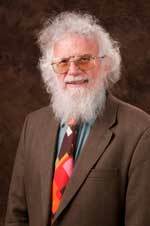 He has focused his scholarly activities on research and development in physics education since 1972. He has received three major awards – the National Science Foundations Director’s Award for Distinguished Teacher Scholars (2004), the Carnegie Foundation for the Advancement of Teaching Doctoral University Professor of the Year (1996), and American Association of Physics Teachers’ Robert A. Millikan Medal (1995). Dr. Zollman earned his PhD in Theoretical Nuclear Physics from the University of Maryland – College Park (1970) and his MS (1965) and BS (1964) from Indiana University – Bloomington. 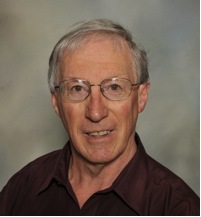 David Treagustis is a professor of science education at Curtin University of Technologyin Perth, Western Australia where he teaches courses in campus based and international programs related to teaching and learning science. His research interests include understanding students’ ideas about science concepts and how these ideas relate to conceptual change, the design of curricula and teachers’ classroom practices. Assoc. 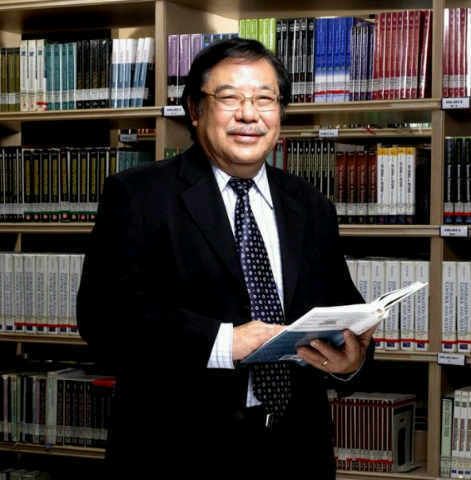 Prof. Dr. Tran Vui is an active mathematics educator. 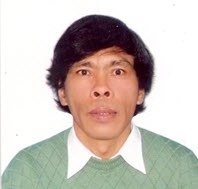 He works at Hue University’s College of Education, Hue City, Vietnam since 1978. He got Ph.D degree in mathematics in 1993. He worked at SEAMEO RECSAM for 6 years (1995-2001) as a senior specialist in mathematics education. He has vast experience in conducting training courses for mathematics teachers in South East Asia. He has participated in some international educational research projects related to lesson study circle and mathematical thinking in Asia Pacific Region. He has published ten books on using visual multiple representations, innovative approaches, new trends in teaching and learning mathematics. He supervises MA & Ph.D students who write their thesis on the areas of mathematical reasoning, literacy, modeling and problem solving. He was the project investigator of three national key researches that were supported by the MOET of Vietnam and the National Foundation for Science and Technology Development.